Sony, please quit playing games with our hearts. 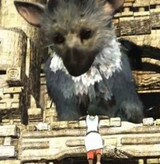 While speaking with GameTrailers, Sony Computer Entertainment America CEO Jack Tretton said Team Ico's The Last Guardian is on hiatus, but that statement has since been corrected. Read on for more. Thanks to a rift in time and space, crossover tactical RPG Project X Zone is almost ready to make characters from the libraries of Sega, Namco Bandai, and Capcom cross paths. See the latest burst of English footage after the jump. 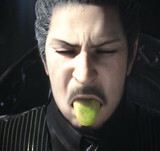 Fans got pretty used to waiting for Final Fantasy Versus XIII, which as of this week's E3 show is officially known as Final Fantasy XV. The wait may continue, but at least we have more footage to chew on, including the fantastic-looking gameplay trailer after the jump. The next Super Smash Bros. game is coming to Nintendo 3DS and Wii U, and it's bringing new opponents along with it. 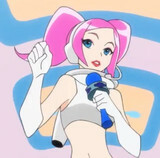 The addition of Mega Man certainly blew socks off yesterday, but don't let that overshadow the oddball inclusion of the Wii Fit Trainer. See her in action past the jump. 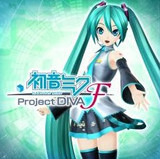 Last week Sega announced plans to bring Hatsune Miku: Project Diva F to PlayStation 3 in North America and Europe, and now, as promised, a demo is available in the PlayStation Store. Europeans will have to wait an extra day, but if you're in North America you can go ahead and give it a shot now. Peep a trailer past the jump! Dungeons & Dragons: Chronicles of Mystara is almost upon us, so everyone will be able to relive, or experience for the first time, Capcom's classic pair of D&D beat 'em ups. Thus, it's time for the final class rollout clip after the jump. 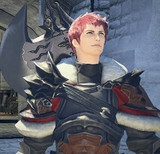 Square Enix has an all new trailer for Final Fantasy XIV: A Realm Reborn, which brings retooled MMORPG action to PC and PlayStation 3 on August 27. Check out the lengthy cinematic showcase after the jump. 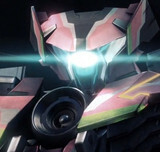 One of the most impressive games showcased in today's E3 Nintendo Direct presentation was definitely MonolithSoft's tentatively titled X. The Xenoblade developers are looking to bring an open world mix of transforming mechs and giant monsters exclusively to Wii U, and it's definitely a feast for the eyes. Check it out after the jump. Though Kingdom Hearts III and Final Fantasy XV—AKA The Artist Formerly Known as Final Fantasy Versus XIII—were both heavy hitters at Sony's press conference, Square Enix confirmed that they'll also be making their way to Xbox One. Read on for more. 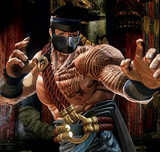 Many were pumped to see the return of Rare's very '90s fighter Killer Instinct, which was announced yesterday as an Xbox One exclusive. More info has since surfaced, including the fact that it will be a free-to-play, digital-only launch title that debuts with just one character available. More after the jump. 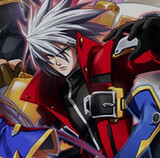 Publisher Aksys Games had a treat for fighting game fans today with the announcement that BlazBlue: Chrono Phantasma will be heading to North America. 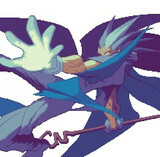 The Arc System Works game is set to arrive on PlayStation 3 sometime next year. Video and more past the jump. 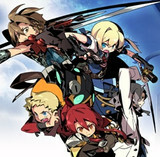 Atlus announced plans today to bring the 3DS reimagining of the original Etrian Odyssey to North America under the title Etrian Odyssey Untold: The Millennium Girl. The dungeon-crawling RPG will be released this summer both via retail and the Nintendo eShop. More after the jump. Nintendo busted out some footage of the next Super Smash Bros. game during its Nintendo Direct presentation this morning, but the real excitement came when a new challenger appeared near the end. 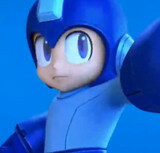 Mega Man will officially join the lineup when the fighter arrives in 2014. Video and more past the jump. Bayonetta 2 became one of the most hotly anticipated Wii U games the moment it was announced as an exclusive, but we haven't seen much since. Well, we got a nice gander at it during this morning's E3 Nintendo Direct special, which shows Platinum's star getting into some over-the-top action while sporting a new style. Check it out after the jump! The next Mario game has been unveiled in the form of Super Mario 3D World. 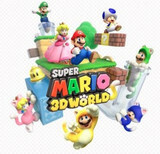 The follow-up to Super Mario 3D Land will land on Nintendo Wii U this December. Read on for more.